Infinite Art Tournament: The Infinite Art Tournament Left Bracket Second-Round Elimination GRUDGE MATCH: Fantin-Latour v. Fabritius! The Infinite Art Tournament Left Bracket Second-Round Elimination GRUDGE MATCH: Fantin-Latour v. Fabritius! In the Infinite Art Tournament, as you know, we have rules and we adhere to them. 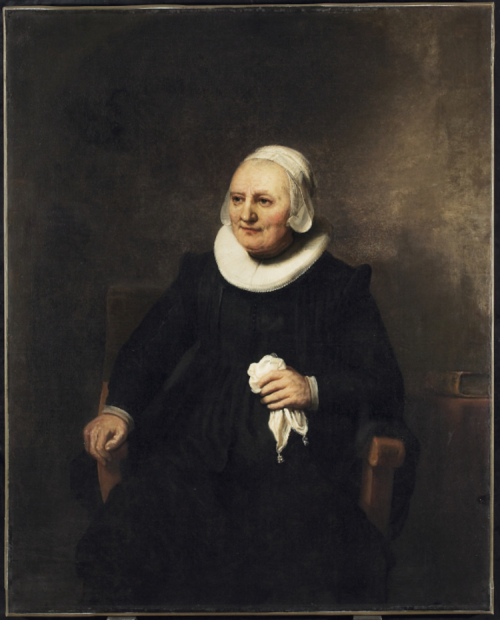 Therefore, it doesn't matter that when they crossed paintbrushes the first time, Carel Fabritius didn't only crush Henri Fantin-Latour like a bug, he scored one out of only two (I believe) total shutouts to date. Fabritius's momentum didn't get him past a second-round match with Feininger, however, and that's why he's here in the Left Bracket. Meanwhile, Fantin-Latour pulled together some votes to knock out crowd least-favorites Fautriet and Lucio "the Knife" Fontana. He's back for another drubbing, or an amazing reversal, or something in between. Leaving us with records of 1-2 are Fontana (12 cumulative votes for, 20 against) and Jean Fouquet (16-21). Oh, and remember: the Grudge Match Rule states that a tie goes to the previous victor, so Fantin-Latour has to scrape together an actual win if he wants to be the one who moves on to tangle with Van Eyck in Round Three! Outpolled Lucio Fontana in the Left Bracket Second Round. Made it past Jean Fouquet in theLeft Bracket Second Round by a safe margin. I do like Fabritius' finch BUT I remain a fan of lovely still lifes. Still lives? Also, I prefer Fantin-Latour's peeved woman with lint brush to Fab's jolly woman with hankie. So Fantin-Latour for me, merci. I'm going to agree with Elizabeth on this one. 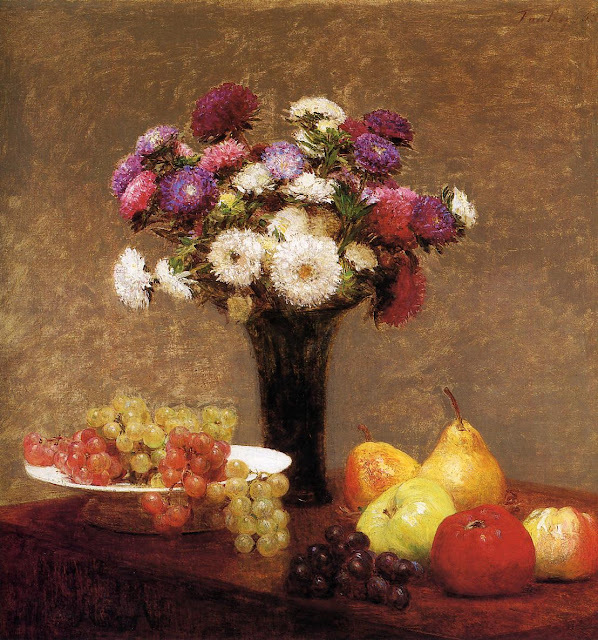 Fantin-Latour. 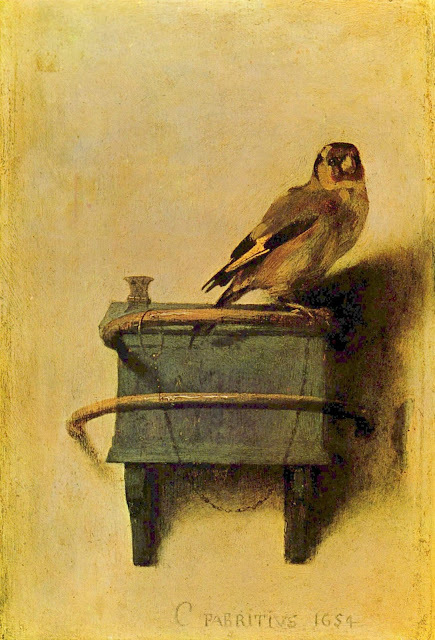 A vote through the mails (which, as is often the case with these, comes from beautiful New York City), says "Fabritius: I get to vote for the Goldfinch. The crowds last winter at the Frick were so huge that I didn't get to see it. 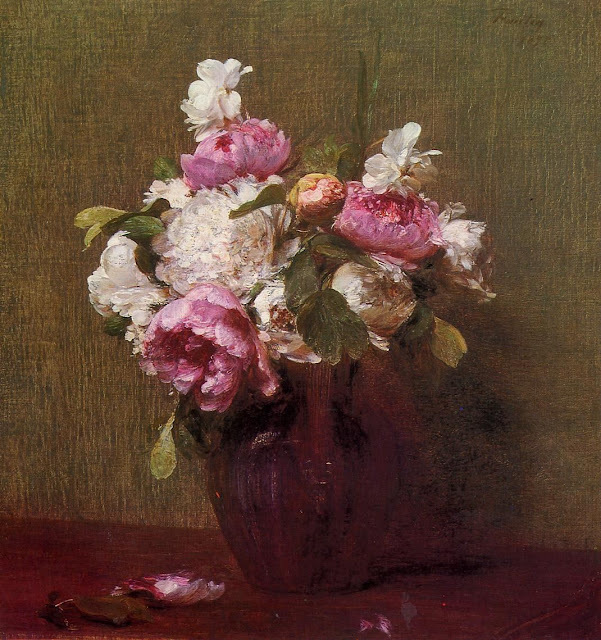 And I feel that the third paintings strengthen Fantin-Latour a lot and weaken Fabritius a little, but not enough to flip my vote. Fabritius for the rematch!! Fabritius. Those other ones bored me SOOOO MUCH. And yet again I'm torn. Fabritius, though. 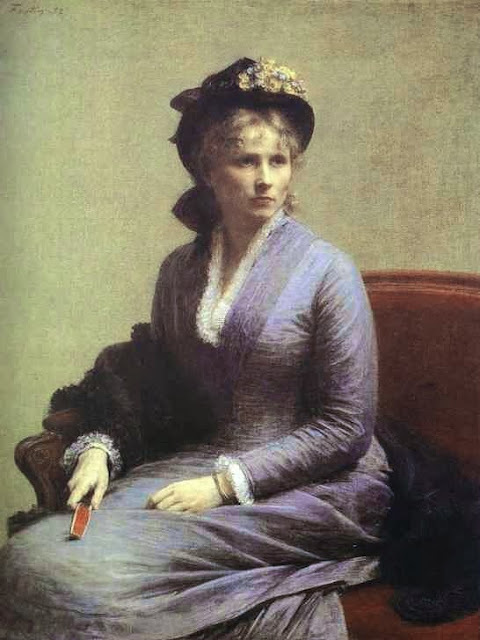 Well, in their second dust-up, Fantin-LaTour managed at least to scrape up a couple of votes. But, to nobody's excessive surprised, Fabritius laid a second beating on the floral specialist, who retires from the Tourney at this point. Fabritius rolls back into action on Tuesday!